In case you haven't yet seen this lovely collaboration between Rachelle of Kenziepoo and Jennifer you need to hop on over! 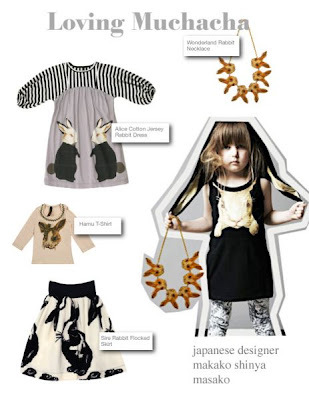 I've long admired Rachelle's penchant for fashion and design for the little ones and always look forward to her Turn This Room Into An Outfit posts! Issue One was absolutely lovely and Issue Two is full of pretty dresses, unique illustrations, and links to great online shops. 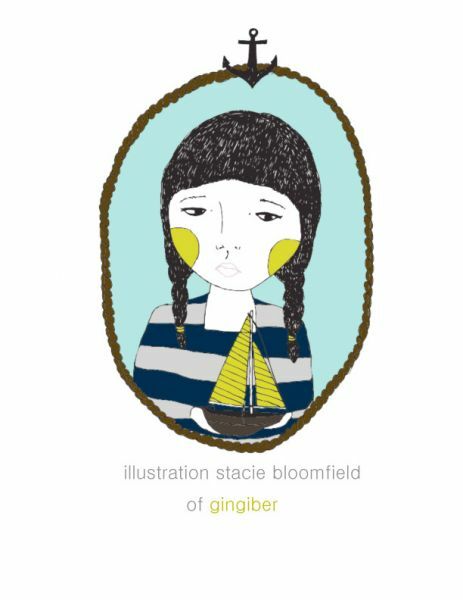 One of the contributors to Issue #2 is one of my longtime sponsors and online friends, Stacie, of Gingiber! 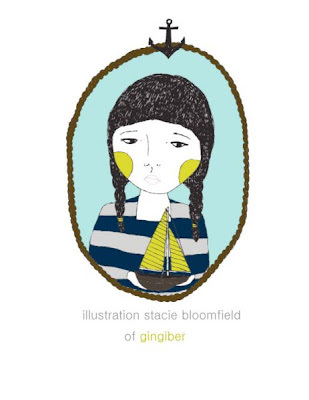 I love her illustrations so it was great to see her work showcased in this lovely online mag. 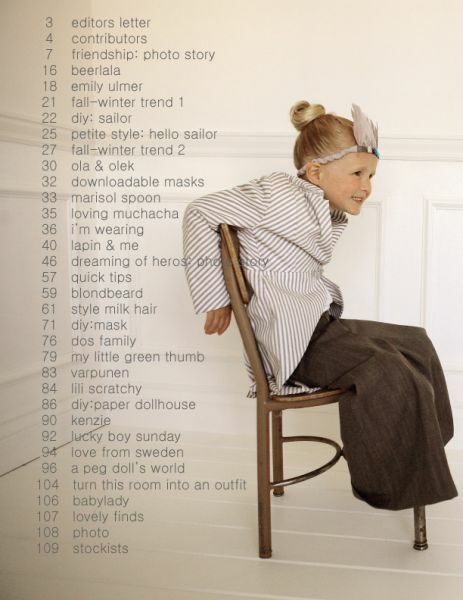 And Rachelle's daughter, Kenzie, has one of the trendiest little wardrobes ever! I'm always looking for unexpected things to add to Ruby's wardrobe and Kenziepoo never fails to provide that inspiration. Have yourself a little look see! Awe! Thanks for the sweet mention! 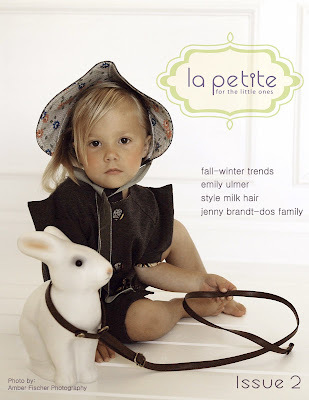 La Petite has definitely set the bar high in terms of cute fashion for babies! Thanks for the mention about Gingiber! I sometimes get overwhelmed and don't make it all the way through all of the sponsors each month and I was so glad you posted about Gingiber. I went over to her shop and bought 4 beautiful prints! Thanks again Rachel! I love your blog and your style...and as one of your Home Ec students I think you're just fantastic!